Our red wine is mighty fine. he 2014 Lodi Old Vine Zinfandel comes to us from the Indelicato Vineyard in Lodi. The vines are over 78 years old and produce big, luscious wines. The wine is aged for 2 years on 25% New American Oak and 75% on neutral French Oak. The wine has aromas of white pepper, Strawberry Jam, and dried raspberries. . The 2016 Syrah comes from the Moore Family Vineyard on Cobb Mountain. At over 3,000 feet the high elevation vineyard receives ample sunlight and very cool evenings all throughout the growing season. This wine has vanilla and cherry cola on the nose. Flavors of toasted blackberry and raspberry, make way to cinnamon and spicy notes on the finish. The tannins are controlled making for a smooth and round finish. This wine is ready smooth and voluptious and can be consumed now, but will stand the test of time for sure...if you can wait on it. The 2016“Wildfire” is rich and intense. Aromas of Blackberries and Plums with a touch of tobacco are quite noticeable. The palate explodes with ripe blueberries, baked berry tart, and toasty vanilla bean. The finish is long and luscious and stays with you for a long time. This wine contains 24% Zinfandel, 22% Petit Verdot, 20% Syrah, 15% Barbera, 10% Cabernet Sauvignon, and 9% Petite Sirah. The 2016 Pinot Noir from Anderson Valley, conveys ripe cherry, dusty truffles, and spiced clove on the nose. The mouthfeel has a subtle richness but displays strawberry jam and dark chocolate covered cherries. The finish is quite long for a Pinot and continues to envelope the palate with dark cherry and spice. Aromas of plum, dark luxardo cherry and hints of smoked meat lead to flavors of plum, blackberries, and roasted herbs. This port-style wine is ideally paired with full flavored cheeses such as farmhouse cheddar or aged Goudas. This wine will also pair nicely with a chocolate dessert to satisfy your sweet tooth. Ageability: This wine is ready to drink now and should drink well for the next 20 years. Our white wine is simply divine. he 2017 Two Girls Rosé is named after the proprietors two daughters Lola Thu & Kenlee Blake Fults. A blend from our Estate Pinot Gris 30%, Sauvignon Blanc 30%, Moscato 30% and and a little Merlot 10% for some color. This wine is unfiltered and fermented in 150 gallon stainless steel tanks for 6 months. The nose has bright ripe strawberry and rhubarb jam that lead to hints of melon and citrus. The mouth feel is crisp with just a subtle creaminess. The finish is all strawberry, black currant, and Fig. Aromas of passion fruit and pear. On the palate you get flavors of plum, white peach, and nectarines finished with a taste of honey suckle and a touch of sweetness. Enjoy this wine with spicy white fish tacos, Thai food, summer melon salad, or duck confit and squash pizza. Ageability: This wine is ready to drink now and should drink well through 2021. 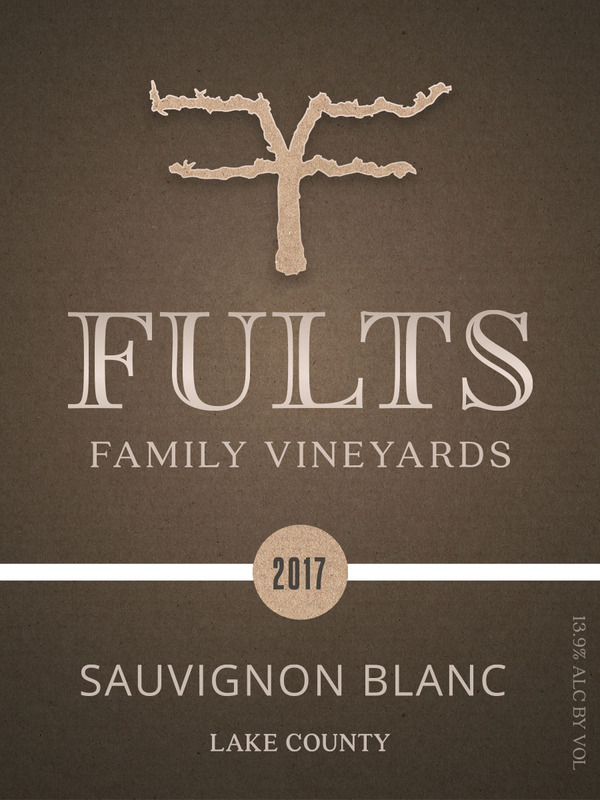 The 2017 Lake County Sauvignon Blanc is cool fermented in stainless steel tanks to retain its fruity flavors and aromas. The aromas are unique with scents of sweet citrus, tropical fruit with hints of fresh-cut grass. On the palate, a touch of sweetness is perfectly balanced with lively acidity that enhances juicy flavors of grapefruit, apricot and guava. Our second release of a sparkling wine and we must say we are impressed. The 2016 Blanc de Blanc is a comprised blend entirely of Chardonnay fruit from the Central Valley and Central Coast of California. The nose gives hints of toast and lemon zest with just a touch of pear. On the mouth the wine has a zesty acidity with green apple and peach components. The Finish is bursting with more green apple and a touch minerality leaving you grasping for another glass. Enjoy this sparkling wine for holidays and celebrations alike. Ageability: Drink now for the next 15 years. It will age for a long time.